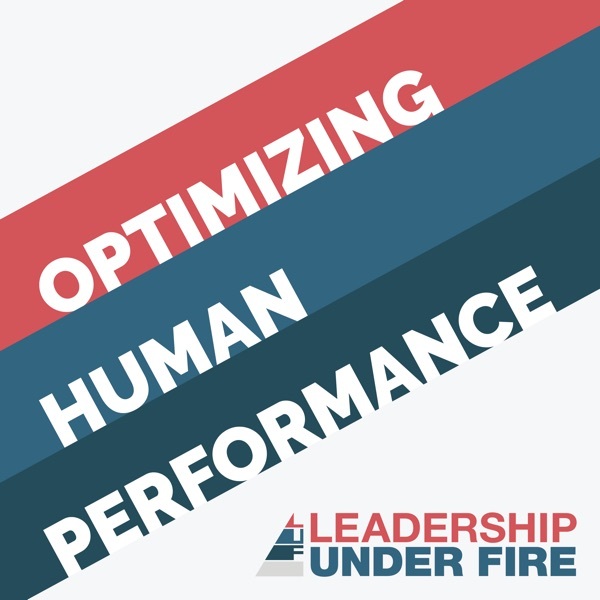 The Leadership Under Fire Optimizing Human Performance Podcast provides a platform to prepare performance leaders to navigate the moral, mental, emotional, intellectual and physical rigors in high-risk and ultra-competitive settings by developing strength of mind, body, character and critical thought. James Lopez joined the FDNY in 1997 and currently is assigned to Rescue Company 2 in Brooklyn. He also serves as a tactical fitness advisor for both Leadership Under Fire and the FDNY’s Mental Performance Initiative. In the fall of 2018, the Cubs named Anthony Iapoce as the team’s Hitting Coach. Iapoce began his coaching career in 2006, but prior to that he spent eleven seasons playing in the minor leagues with the Brewers and Marlins organizations. Just as Cubs fans always remained steadfast, so has Iapoce. In 2014, the Leadership Under Fire team hosted the 3rd Annual Making Yourself Hard to Kill Conference. During this event, a Navy SEAL Commander with extensive operational experience shared his thoughts on navigating risk, mutual trust, decision-making among SEAL teams and more. This conversation was moderated by the LUF team’s Leadership Director, Eric Nurnberg, who joins us in this episode. Nurnberg is a Deputy Chief with the Iowa City Fire Department and a veteran of the United States Marine Corps. Sebastian Junger is an American journalist, author and filmmaker whose work demands contemplation regarding what history, science and experience tells us about the ability to endure hardship and how to navigate our current cultural terrain. Junger’s work includes the books: Tribe and The Perfect Storm as well as the Academy Award-nominated film: Restrepo, which he co-directed with Tim Hetherington. Brendan Fowler was a two-time NCAA Champion during his days of playing lacrosse at Duke, the NCAA Championship most outstanding player in 2013, and the single-season leader all-time in face-offs won in the same year. Also on the football team at Duke, Fowler was a part of the Blue Devils squad that made its first bowl since 1994. After graduating, Fowler spent half a season with the Charlotte Hounds of Major League Lacrosse. Fowler then made his way onto the wrestling mat for a final season of NCAA eligibility. His professional lacrosse career has been spent with the Vancouver Stealth and New York Lizards. Danny Fowler was named an Under Armor All American in 2013 as the Chaminade High School star lacrosse goalie. That year he also helped pin down the Catholic State Championship in wrestling. He followed his older brother’s footsteps to Duke where he too played on the lacrosse and football teams. Jason Brezler is the Founder and President of Leadership Under Fire (or LUF). In this episode, we’ll get to share how Leadership Under Fire came to be and how the LUF endeavor has evolved over time. We’ll also learn how Jason’s personal experiences have influenced his views on how to develop leaders and optimize human performance. In this episode, Dr. Belisa Vranich will tell us some surprising information about breathing and walk us through the simple, revolutionary program she developed to improve mental and physical heath through breath work. In 2018, the FDNY’s highest honor for the most outstanding act of heroism was awarded to Lieutenant Mickey Conboy. Lt. Conboy has more than 30 years with the FDNY. External recognition aside, he's also experienced quiet moments of accomplishment and fulfillment in the fire service and in his personal life. "Life As Sport.” It’s an approach to performance and everyday situations that Dr. Jonathan Fader strongly believes in based on his experience working with top athletes. Our guest in this episode has spent two decades traveling to some of the most dangerous and remote areas of the world. Lynsey Addario is an American photojournalist whose work appears regularly in the New York Times, National Geographic and Time magazine. Patti Murphy hosts.